A while back I wrote a very basic guide for jungling Ivern in 6.20, and eventually wrote some Do's and Dont's for him as well. Now, in patch 7.5, I find myself playing a ton of Graves, The Outlaw. Jungle Graves was insanely strong for almost all of Season 6, for many reasons, and he saw some nerfs because of it. Despite these changes, Graves has found himself in meta once again, and he's easily my favorite pick right now. Graves burst, early game clear, dueling ability, late game effect and his ridiculously carrying potential doesn't just make him one of my favorites, but one of the best junglers in the game right now. Let's get into his kit! 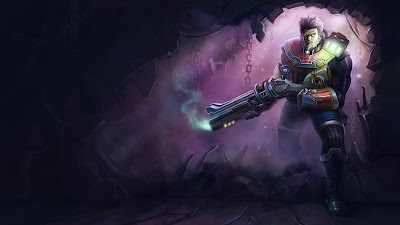 Easily the most unique trait regarding Graves is his passive, "New Destiny". Graves' shotgun (named "Destiny") is loaded up with two shells, and each shell fires a certain amount of pellets. When Graves fires both shells, or does not attack for around 4 seconds, he will passively reload Destiny before he can continue firing, which can be a stressful couple of seconds. When a non-player is hit with more than one pellet, they will be knocked back, which gives Graves one of the fastest and healthiest clears in the game. Graves' Q fires off a buckshot that goes through all enemies in a small line, leaving a trail of gunpowder. After a small time, the round will detonate, dealing damage and sending another explosive backwards along the line of gunpowder, essentially creating a large explosive "T". However, if the initial buckshot hits a wall or any structure, it will detonate immediately. End of the Line is a huge part of Graves' legendary burst damage. Graves fires a small AOE smoke grenade to a location that slows all enemies inside, and reduces their sight to inside the smoke screen. Smoke Screen creates some very silly situations for your opponents (especially adcs), forcing them to decide how they are going to trade with you. Easily the most versatile ability in Graves' arsenal, Quickdraw allows Graves to swiftly dash in a direction. This dash allows him to clear small walls, but also resets his attack timer, loads one shell into Destiny and even adds a stack of "True Grit", a passive that gives Graves extra armor and magic resistance in combat. Quickdraw allows graves to move around the jungle more efficiently and avoid wards, kite camps more easily and close distance for Destiny to do its job. Last but not least is Graves' ultimate ability. Collateral Damage is a massive long range skillshot, that fires a huge buckshot, with a recoil so powerful it sends Graves flying backwards. The buckshot explodes at the end of its range, or upon the first enemy hit, exploding in a cone damaging all enemies. Collateral Damage is great for picking off low health enemies that blew flash, massive aoe team fight damage or even as a last ditch escape effort thanks to the recoil. I've messed around with all sorts of different runes when it comes to Graves, but this page right here feels very fine tuned. Attack speed is very critical on Graves, because it directly effects how quickly he can reload Destiny. Lethality is obviously very potent in the current meta, and that's true for the outlaw as well. I like to go armor seals because of Graves' uncanny ability to combat ADCs (smokescreen! ), and the ever popular picks of KhaZix, Rengar and Lee Sin. I've messed around with more attack damage, less attack speed and even some movement speed but this is definitely my favorite so far! 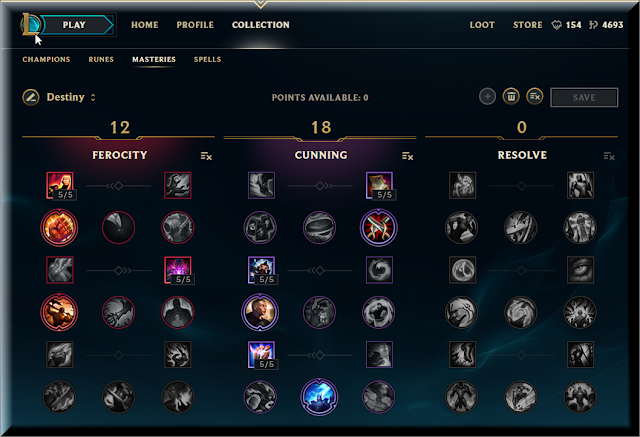 I think more-so than any other champion I play consistently, Graves' has the most "viable" mastery options. For the longest time I really liked to run "Stormraider's Surge", and I even tried out "Warlord's Bloodlust" for the lifesteal effect, but I ultimately settled on "Thunderlord's Decree" as my favorite, even though all 3 felt powerful. Thunderlord's has a lot of synergy with End of the Line, thanks to the return explosion, and overall makes his burst even more ridiculous. The current League of Legends meta values lethality quite a bit, especially in the jungle. Graves is a little different, and it's not necessary to jump right into Ghostblade and such. In almost every single game I finish up my jungle item, and I prefer Warrior Skirmisher's Sabre, then tanky boots (based on opponents) and immediately into The Black Cleaver. I seriously cannot put enough emphasize on the value of Black Cleaver. Unless I'm very far behind, or against a very fed enemy, just these 3 items make Graves such a dueling menace, it's almost ridiculous. Next I like to grab Death's Dance and Phantom Dancer due to the synergy with Graves' kit, and if they haven't surrendered by now your 6th item can really be anything AD, or Guardian's Angel. I really like Edge of Night as my last, especially against mages. I originally had something written up for Graves' ideal jungle route, but to be completely honest, it doesn't matter what you do. Start E for kiting, pick up your preferred first buff (I like blue) and you can proceed to clear your entire jungle with little damage. If your team really requires a gank before you hit your level 5 power spike, don't waste your time unless it's an absolute kill, you REALLY need to relieve pressure, or if you're feeling greedy. You will benefit your team much more when you come back with a power spike. Graves has the unique ability of wiping camps off the face of the rift very early in the game, just doing that will get you ahead of the curve. 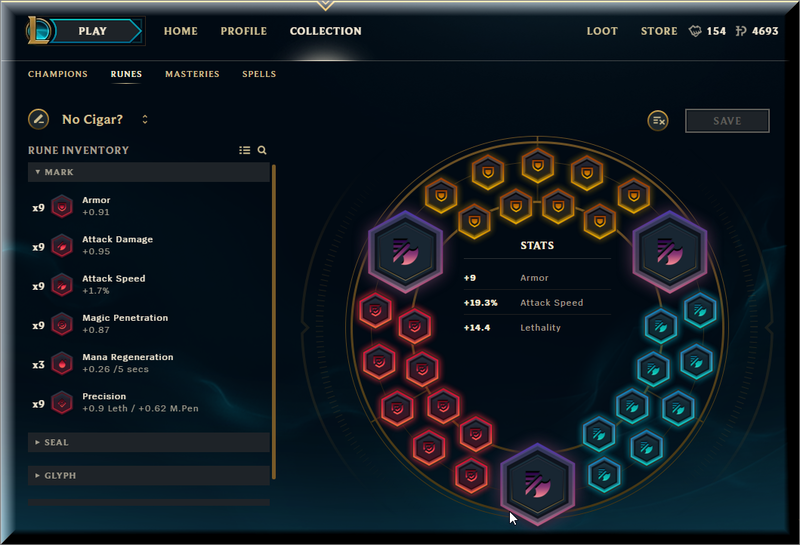 There's some more intricacies, based on match ups, and sometimes I can steal the enemy red buff (on blue side) and gank top lane at level 2, but only if the enemy jungler starts blue, and the top laner is immobile. 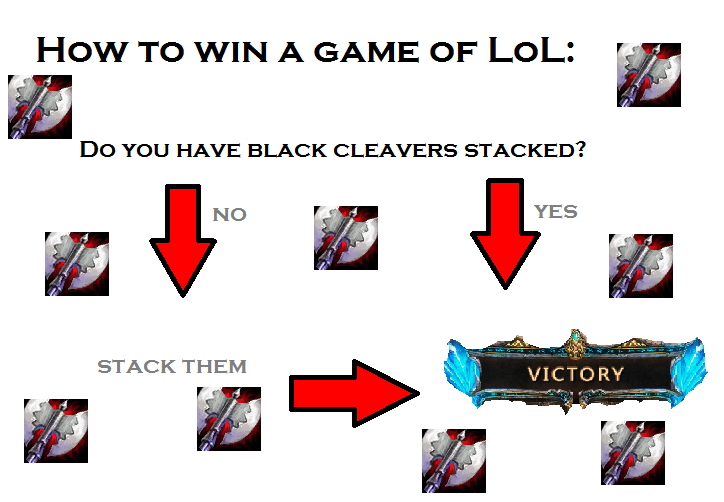 This is a trick specifically learned from Tarzaned, and it works more often then not. Prioritize your full clear and counter jungling and take ganks when they are available, as Graves cannot force them like some other junglers (Zac, KhaZix, etc). Make sure to rotate for towers as well, since graves is a monster at taking down these objectives. End of the Line is a very unique ability, but I often see it used at max range, or valuing the initial buckshot over the "T" shaped explosion and return. If you are running Thunderlord's especially, it's really important to consider how you want End of the Line to go off on an enemy, and save it for the proc. As I mentioned above, Quickdraw can clear small walls which makes for an easier time moving around the jungle, among many other things. If you're new to Graves, it takes some time to know what walls you can clear and which ones you cannot, so I recommend keeping Quickdraw off quick cast in the beginning. Ideally, you will be quick casting every ability, which I'll touch on in my next point, but being able to see the gap you can clear with the arrow indicator has some value for early players. 1) Auto-attack + Q + E. Not only is this combination great against a fleeing opponent, (based on your positioning the enemy may run into the T in End of the Line, but since you canceled into quickdraw, you're still standing right next to them layering the burst. This is also great for clearing camps. 2) Auto-attack + W + E. This cancel isn't useful all the time, but specifically destroys some ADCs. If you are in their face auto attacking, lay down a smoke screen and E in the direction that you expect them to head, you can continue blasting them for free while they attempt to get clear of the smoke. 3) This one is really common, but can be hard to pull off at first. Auto-attack + R + E. Collateral Damage sends Graves flying backwards, but if you cancel the knock back with quickdraw, essentially Graves stays in place. This allows you to continue attacking instead of being removed from combat due to the recoil. 4) Lastly, but certainly not least, is the most burst Graves is capable of doing in a single combo. Auto attack + Q + R + E. Congratulations, you deleted that guy. Be wary of Destiny's unfortunate weakness of firing through minions. If you are trying to finish off a very low health enemy and just need one more auto, your autos will not pass through minions, so use End of the Line, Collateral Damage or even Smoke Screen to finish the job. As far as match-ups are concerned, Graves doesn't have many bad ones. I feel like some assassins like Rengar and KhaZix have the potential to squelch Graves before he can take them out, but they need to be ahead of the outlaw. I find myself constantly annoyed by Soraka, but honestly it doesn't matter who I play - Soraka is annoying. So there you have it! Graves, The Outlaw brings so much to the table, and is currently an important pick in League of Legends. I feel pretty confident in saying if he is not banned or picked for your team, chances are you will be facing him. Whether you're playing him yourself or against him, hopefully this guide helped in some way. 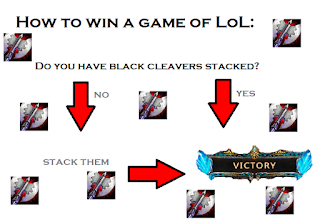 It's important to note, I am not a League of Legends ranked fiend, I do my placements every year and stop, so some of these tips may be very tentative for very high elo. No matter the elo, Graves proves to be one of the burstiest and hard carrying junglers, and to top it all off, I think he's a total blast to play. What do you think about Graves, The Outlaw, in the current patch? 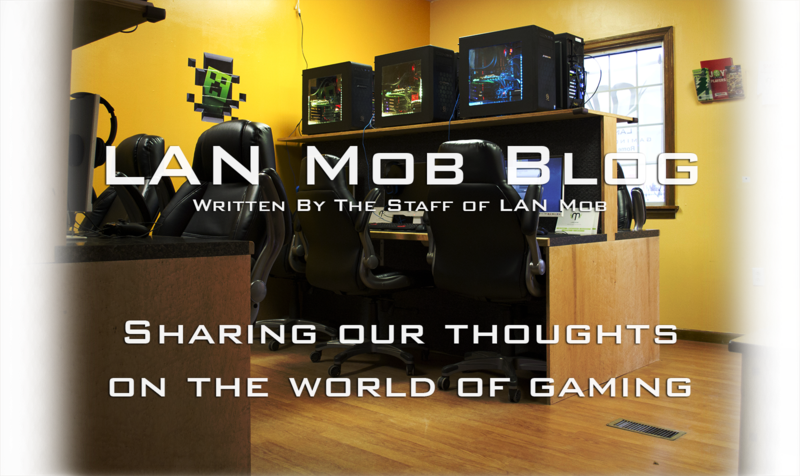 Let us know in the comments or right in our LAN Mob League of Legends Facebook Group!